Midway Nissan | Blog | Midway Nissan Reviews the 2017 JUKE SL AWD! Midway Nissan Reviews the 2017 JUKE SL AWD! The 2017 Nissan Juke SL AWD is guaranteed to excite your drive with a 1.6L DOHC direct injection gasoline engine with sixteen valves and four cylinders. The turbocharged engine can generate 188 horsepower peaking at 5,600 rpm and 177 lb-ft of torque peaking at 5,200 rpm. The Juke SL AWD has an emissions rating of Tier 2-Bin 5. It features CVVTCS, electronic drive-by-wire throttle and an engine block heater. The all-wheel drive with torque vectoring has Xtronic CVT with sport mode, vented disc brakes on front wheels and disc brakes on rear wheels, antilock braking on all wheels, electronic brake force distribution and brake assist. The independent strut front suspension coupled with multilink independent rear suspension, front and rear stabilizer bars, speed-sensitive electric power steering, 5-split spoke aluminum alloy wheels and all-season tires ensure a comfortable driving experience. There are some standard exterior and interior features you would expect in a Nissan, such as projector halogen headlights, fog lights, powered sliding moonroof with tilt, powered and heated mirrors, Nissan’s own navigation system, voice recognition, traffic data, Bluetooth enabled hands-free modes for phone and text messaging, around view monitor and an integrated control system. There is automatic temperature control with micro-filter, cruise control, powered windows and door locks, variable intermittent windshield wipers, intermittent rear wiper, height adjustable seat belts in the front, cup and bottle holders, heated manually adjustable driver’s seat and foldable rear seatbacks. View our inventory. The 2017 Juke SL AWD has a Rockford Fosgate ecoPUNCH sound system with subwoofer and amplifier, satellite radio, audio streaming, auxiliary audio input jack, USB port for iPod, speed sensitive volume control and radio data system. 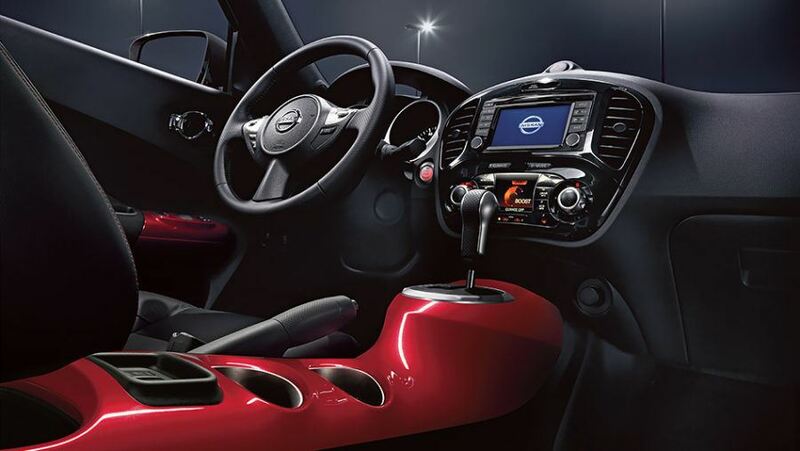 The 2017 Nissan Juke SL AWD is a safe ride thanks to the dual-stage front airbags hooked with occupant classification and seat belt sensors, side impact airbags, roof-mounted airbags for head protection, traction control, load limiters and pretensioners, steering column with the ability to absorb energy and LATCH. The zone body construction ensures rear and front crumple zones with hood buckling creases. 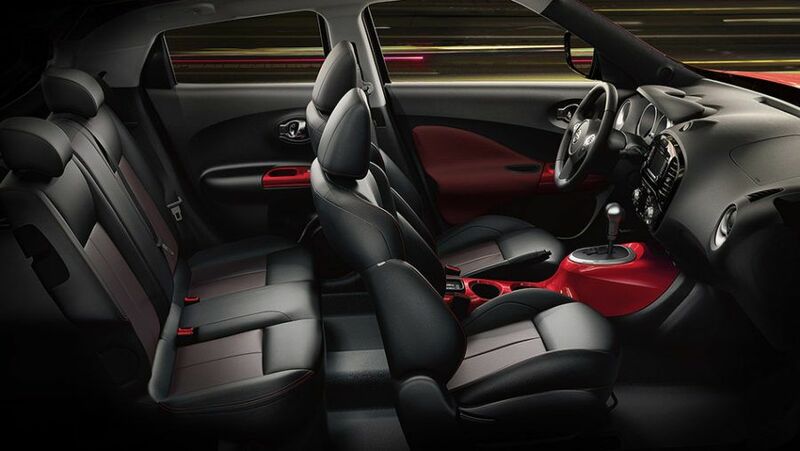 Other standard safety features include a tire pressure monitoring system, immobilizer, and anti-theft system. The fuel tank capacity is 45L or 9.9 gals. 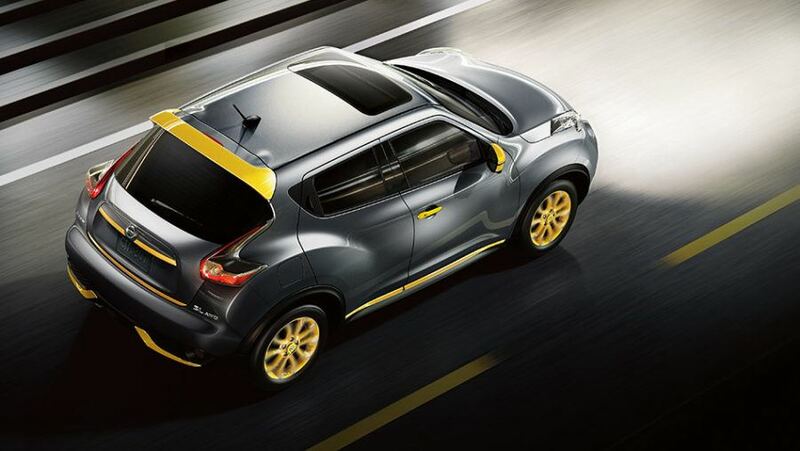 The Juke SL AWD can deliver 7.8 L/100Km on highways and 9 L/100Km on city roads. Overall, the 2017 Nissan Juke SL AWD is a fun and quirky model. It will make heads turn while assuring a comfortable and safe ride at all times. 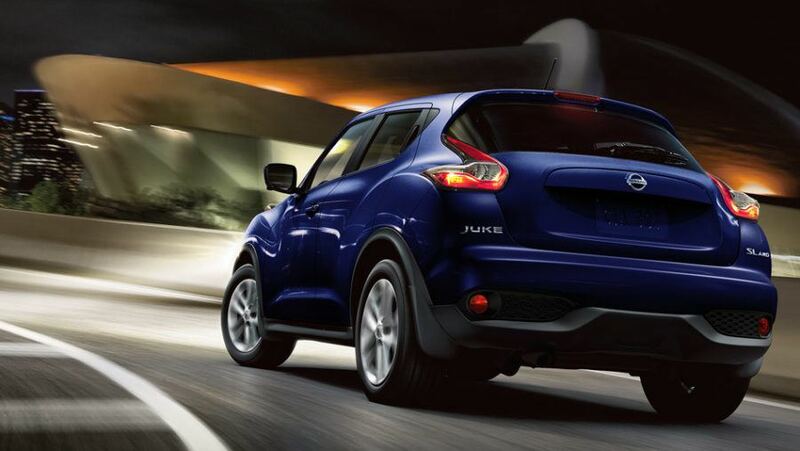 Ease on the wallet to buy and given the fuel economy, the Juke SL AWD is poised to be a mass favorite. If you’re in the Oshawa or Whitby area, we invite you to book your test drive at Midway Nissan today!